I’m part of a mastermind group on facebook. 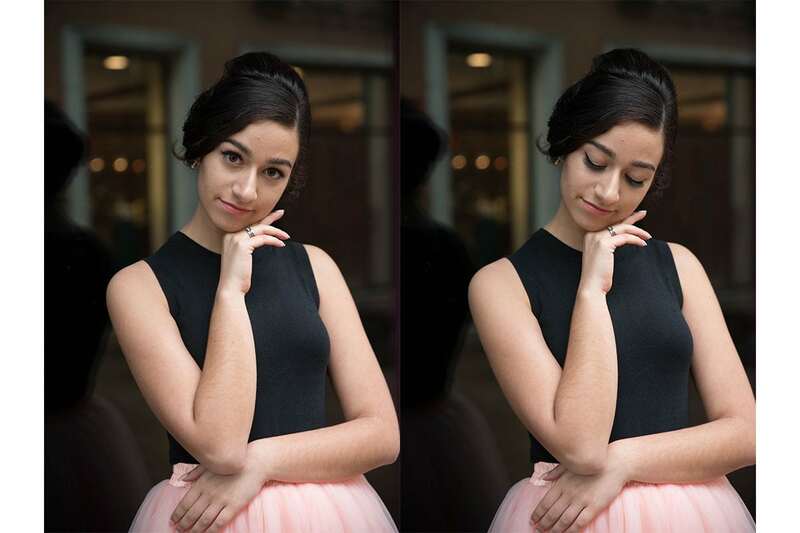 We are 7 senior portrait photographers from all over the country. We share tips, business practices, photoshoot ideas and even personal stuff that we are going through. Though most of us have never met in person, these ladies are my business besties. Our little group has been going solid for a year now and I love that there is no judgment and all of us are ready to jump in to help with whatever someone needs. In the Spring someone asked if we should do a project together. Another group did a traveling dress project, where one dress gets mailed to each photographer and they need to come up with a unique concept and photoshoot around the dress. We brainstormed ideas but Lori had a pink tulle skirt that we all thought would lend multiple ideas and be easy enough to ship around the country for 6 months. I was lucky enough to get the skirt second. I put up an inspo board from pinterest to my Senior Squad girls and asked them if any of them wanted to model for me. They all did! Gah! So I pulled a name out of a hat and Elise won! Woohoo! This was what I needed to narrow down the theme. Elise is such a classic beauty and when I first met her I saw a glimpse of Audrey Hepburn style. I asked her if she had a black sleeveless top and black heels and of course, she did! 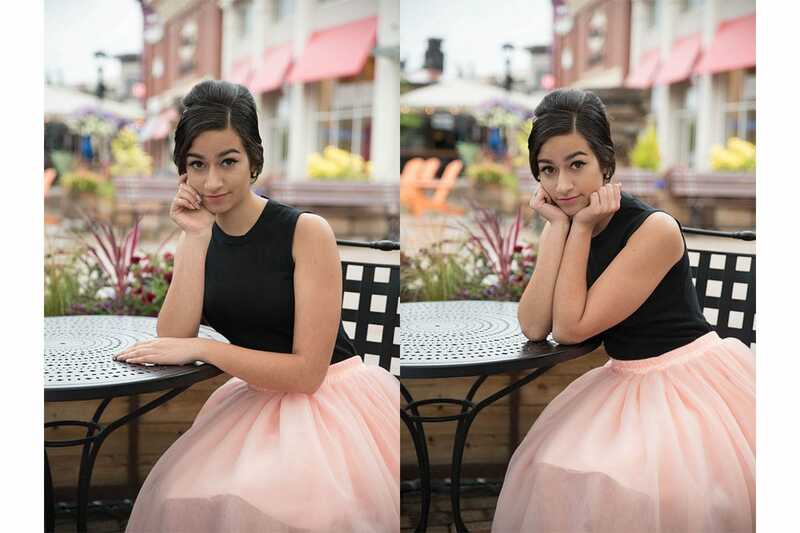 We worked with the amazing Brow & Blowdry to create her Audrey up-do and Emma from my Senior Squad did her makeup. It all came together perfectly! The weather was sprinkling on us a bit but since we shot at Bridgeport Village, there were awnings we could duck under. But because of the rain, there were very few people at the mall which made it so much easier to shoot there! 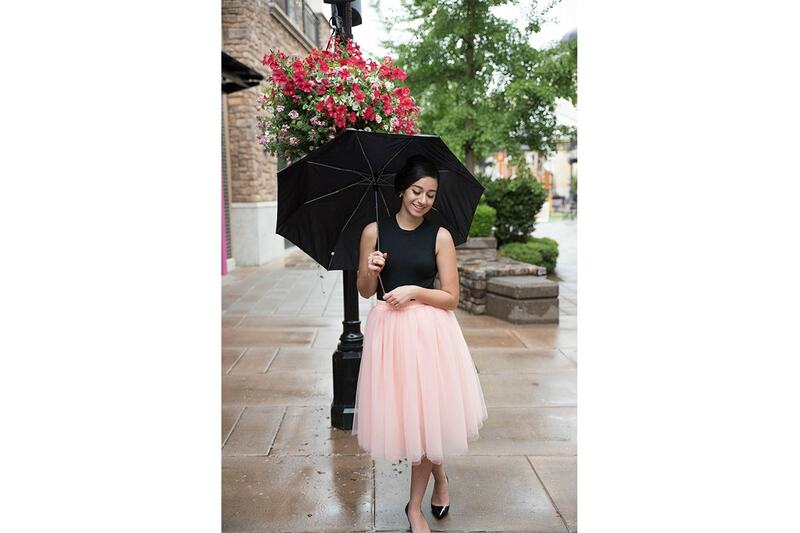 This lil pink tulle skirt has traveled more than me this year! It’s been to Texas, Oregon, Minnesota, Michigan, New York, Pennsylvania, and back to Texas. I would love for you to go see the blog posts from my fellow mastermind photographers to see how they styled the skirt! Such a fun project and I can’t wait to see what we come up with for 2019!